PubHotspot is advertised as a useful tool that you should use to setup a wireless hotspot. While it might seem like a great tool to have, you should be aware of the fact that our research team has classified it as yet another adware program. We highly advise you to avoid it at all times as its functionality will have a profoundly negative effect on the way you experience the web. This is so because it will present you with invasive and unwanted third-party web content while you are surfing the web. On top of that this devious program could also prove to be quite dangerous. That is so because it could prove to be the main reason your operating system might be subjected to potentially dangerous web content. To understand how this could happen, be sure to read the rest of this report. To delete PubHotspot in a quick and easy manner, make sure to use the instructions that we provide below. At first sight, PubHotspot might not seem like an invasive program that it in reality is. The first indication that this adware is fully functional on your personal computer is a web browser filled with a large amount of third-party web content. In the majority of cases, such content manifests as various sponsored ads, pop-ups, and coupons. This happens because the ad-supported program in question establishes a lasting connection to suspicious adware servers, which are the main source of all the invasive content. It goes without saying that such functionality of this adware will make surfing the web a much more annoying and frustrating task. In addition to that in some cases, the amount of ads, pop-ups, and coupons could be the main reason your browser could simply crash. What is even more annoying is the fact that this program will not act in a way that users might expect it because it does not provide you with an opportunity to setup a wireless hotspot. Unfortunately, breaking the connections established by this adware is quite difficult. The simplest way to do that and to surf the web without interruptions once again is by executing a complete removal of PubHotspot. To get rid of it in the quick and easy manner, make sure to follow the instructions that we provide below. Unfortunately, there is something much more alarming about PubHotspot that meets the eye at first. During its extensive analysis, our research team has discovered that in some cases content presented by this ad-supported program could host redirect links. This means that clicking on an ad or pop-ups, powered by this adware could lead you to devious and even potentially malicious websites. For example, you could end up on a site crafted by cyber crooks. In some instances just entering such web pages could lead to a system infection. 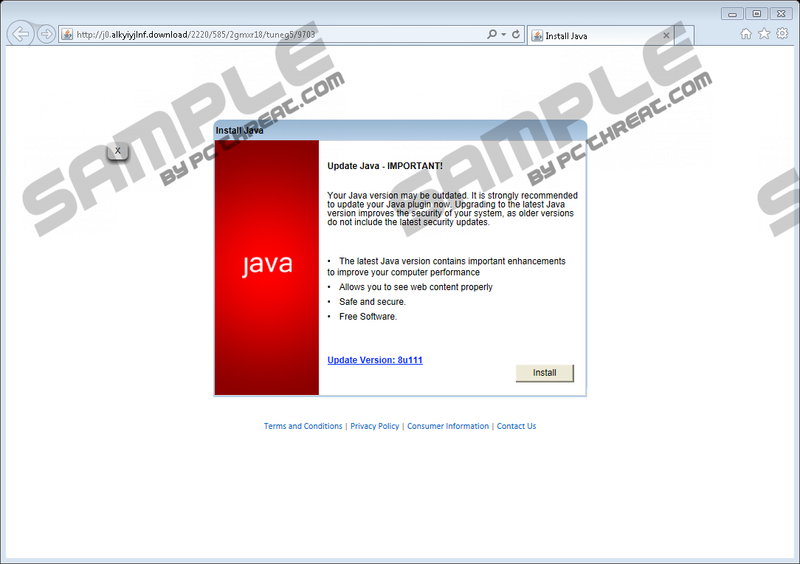 This might happen as a site created by malware developers could be embedded with an arbitrary code execution exploit, meaning that just entering it could be more than enough to get your PC infected with some unknown malware. In other instances, you could end up on fake online shops, which are crafted just to steal your credit card data. It goes without saying that entering any of such a sites could have devastating outcomes. It is also important to note that in the quite a few cases this adware program is spread via bundled installers. Thus, other devious programs could come along with it. This is the reason we highly advise you to check your operating system for other suspicious programs if you already have this devious program active on your computer. It goes without saying that a complete removal of PubHotspot is essential if you want to have a secure system at all times. Make sure to follow the instructions that we provide below to delete PubHotspot once and for all. Keep in mind that you need to delete every single bit of this adware to regain the default functionality of your web browser. To be sure that no traces associated with this adware are active on your PC, make sure and double-check your operating system once you are done with the manual removal. If you find such analysis of your computer a bit too complicated, make sure to scan your personal computer with a reliable antimalware tool since it can detect and delete anything linked to PubHotspot in an automated manner. Right-click the unwanted program and click the Uninstall button. Locate and select the undesirable program. Quick & tested solution for PubHotspot removal.